We have upgraded our website! If you have an existing account with us you will need to reset your password before placing your next order. SEE SPECIALS SECTION OF WEBSITE FOR EVEN MORE DEALS! 400MM FAN 1000LPS AND IT'S QUIET TOO!!! NEW DOUBLE ENDED HID TECHNOLOGY IN STOCK NOW!!! OVERHEATING? NEW CAN MAX PRO 400 FANS AND CAN 3500 FILTERS (400MM) NOW IN STOCK! REIZIGER NUTRIENTS NOW IN STOCK! INSTORE OR MANUAL MAIL ORDER SALES ONLY. CALL FOR DETAILS. CALL, EMAIL OR VISIT TO GET DISCOUNTED PRICES!!! CYCO NUTRIENTS AND ADDITIVES UP TO 50% OFF! ROCK NUTRIENTS AT UP TO 50% OFF! NEW CULTIPLEX/NUTREX GROW GUIDE NOW AVAILABLE. FIND AND DOWNLOAD VIA THE GROW GUIDES SECTION ON THE WEBSITE. ADD IT TO YOUR BASKET AND YES, LIKE ALL GUIDES AND INFO IT'S FREE!!! Come see our fully functioning display gardens. Hydroponic and Aquaponic workshops available! Seen an 'identical' item at a better price? Send us a link and if its legit we'll beat it! 10/13 Kerryl St, Kunda Park. After hours service by arrangement. Sunny Coast and Brisbane. PRIVATE delivery service now available. Minimum order conditions apply. Blauberg Turbo 250mm Silenced fan. 2 speeds. This product even took us by surprise with how it performs and how silent it is. It is a 2 speed (Hi..
Blauberg Turbo 150mm Silenced fan. 2 speeds. with 150x500 Rhino Filter Combo. 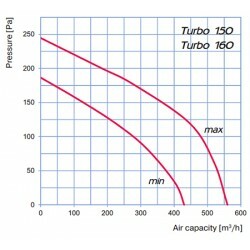 Blauberg Turbo 150mm Silenced fan. 2 speeds. 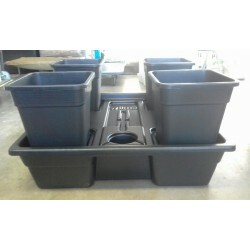 Wilma 4 Pot self contained system. 4 x 18L pots 80L reservoir. 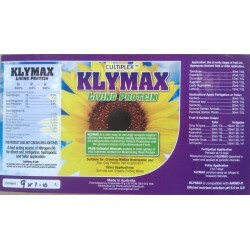 Pump and all plumbing fittings suppli..
Klymax 5L Nitrogen protein booster.